Leading Manufacturer of tamper proof courier bags, tamper proof courier bag, compostable courier bags, compostable courier bag, biodegradable courier bags and biodegradable courier bag from Bengaluru. Tamper Proof Courier Bags are used by Courier, Parcel, Freight companies, Banks and e-commerce companies for the secure movement of their client's documents and consignments. With enriched industrial experience and knowledge, we are providing an excellent range of Compostable Courier Bags. With enriched industrial experience and knowledge, we are providing an excellent range of Compostable Courier Bag. 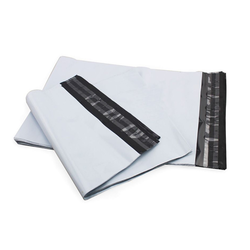 Biodegradable Courier Bags are used by Courier, Parcel, Freight companies, Banks and e-commerce companies for the secure movement of their client's documents and consignments. Biodegradable Courier Bag are used by Courier, Parcel, Freight companies, Banks and e-commerce companies for the secure movement of their client's documents and consignments.